The News Agency of Nigeria (NAN) reported on the 23rd September that federal, state and local government shared N2.53 trillion as proceeds of revenues from the federation account from January to July. Be that as it may, this sharing, good as it may have made the various tiers of government over reliance and sorry to say lazy in exploiting other avenue for revenue and hence creation of employment opportunities. Why? It has become a norm that after all; allocation from the federal government WILL come. When it comes, it is shared and they relaxed and position for the next month end. This obviously is not helping Nigeria to grow. The country has so much depend on oil revenue to our detriment. The earlier we realize this and do something the better. Otherwise if the federal government does nothing, the system will remain worse-off. Of recent, there has been call from well meaning Nigeria for restructuring of the country politically to move the nation forward. While other sees it as reasonable and urging federal government to consider the call and restructure, others see it as distraction on the part of government. The people objecting this call and tagged it distraction may be doing so on sentiment otherwise what is wrong with change which is constant in life. As a country, if we must move forward, we must eschew all forms of sentiment in suggesting ways of moving this country forward. The fact that certain things has been done over time doesn’t make it right. There is always need for adjustment or call it change. The President came to power on CHANGE mantra which every Nigerian buys into and voted him overwhelmingly against an incumbent president. It is now the present government can make every positive change to move the country forward and have their name written in history instead of maintaining the status quo which has not helped us as a country. If not, where then is the change? I know that as a nation, we are been governed by constitution. Be that as it may, if constitution is found not friendly or on the growth path, won’t there be amendment? What then are the functions of the legislature? Let us see this country as our own and objectively move it forward without sentiment. In a family for instance, if you share food, you’ll discover that children eats theirs with reservation but when the food is put in a bowl or shared together, there you’ll see them eating to fill their stomach over others without reservation. I think this relate well with what is happening to our dear country, Nigeria. There is therefore need for the federal government to restructure the country…and see if the country will not move forward. The states or region will explore resources in their domain to generate revenue and contribute to the center. The over dependence on the federal government will no longer be there. The Bible said that whosoever that doesn’t work, let him not eat. If a state fails to exploit the natural resources in its domain, let her remain behind. Good enough, every state of the federal can boost of one resource or the other but they are all lying idle because of oil revenue. Mr President, we believe you have good intention for Nigeria but this must be translated into action capable of moving the nation forward. You’ll only write your name in the good book of history. I’d like to thank you for taking the time to check my blog out NAIJA NEWS AS IT IS! I hope you’ve found some value in it and can drop your comment. 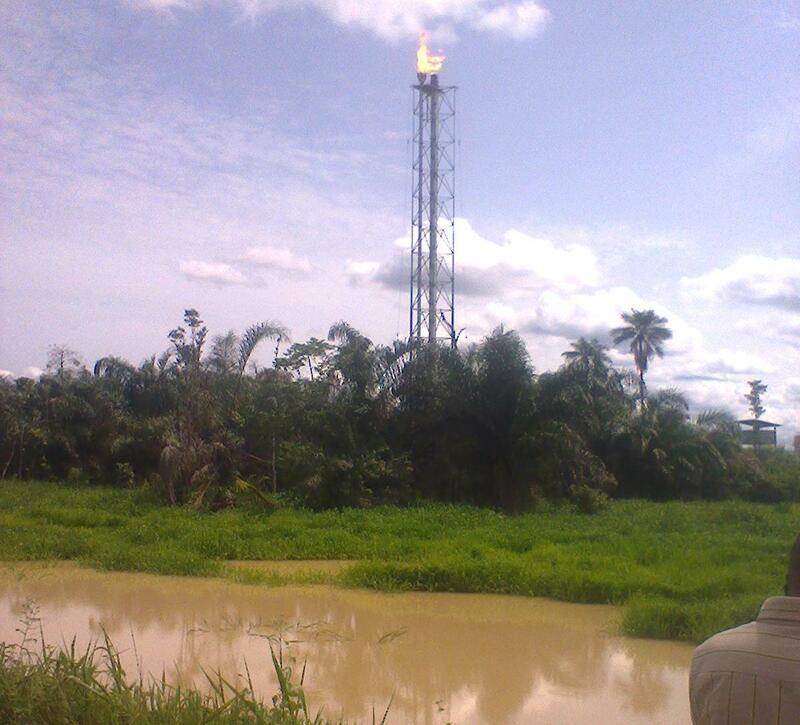 The Niger Delta is not only blessed with oil and gas. She is also blessed with other resources like fish, perewinko, and large fertile land for farming, and you can name it. However, most of these natural resources have not been fully exploited to our benefit due to over dependent on oil and gas. The resource that ought to be a blessing has in turn becomes a curse, hence the fight for it by everybody…from the federal, state and local government up to the community and individuals level. Many communities in the Niger Delta have fight and destroy themselves either fighting for land that oil is being discovered or that individual fighting themselves for monetary benefit perceived to have been given to one person by the oil companies operating in their land. Sometimes, these issue of divide and rule tactics have caused great disaffection among community members with its attendant effects. Right there on top, the federal government held sway, never want to focus on any other things except oil. The oil and gas revenue had made the central government very attractive to the extent that every politician wants to get there by all means possible. It has assumed where national cake is being shared. It is like elephant meat where you can cut, no matter the quantity; the meat will still be there. Little did Nigeria realize that, elephant meat irrespective of it size will get finished if wisdom is not applied in the sharing. When the oil was booming, little did our leader realize that the boom will not continue, hence the spending without reservation. Today, the reverse is the case, oil price has crashed to its lowest price to $48/barrel and the government of President Buhari is lamenting on shortage of fund to finance the 2016 budget. Even at that price, the oil production has dropped to its lowest point from 2.2million to 800 thousand barrel/day. The drop in production is been attributed to militancy in the Niger Delta. The 2016 budget passed in May this year is not been implemented due to drop in revenue with its attendant effects. Unemployment is on the increase, inflation is very high at double digit at about 16%, the subsidy on fuel has been removed which has also impacted negatively on general price of goods and services, the scarcity of foreign exchange…the naira is currently exchanging for N428/dollar. In all these, the economy has been officially declared as in recession and even heading to depression. The federal government is now waking up from their slumber. The governments want to diversify the economy through agriculture. How serious is the government? Are they just going to pay lips service to it? It is normal to share allocation every month and this has become too easy to all the arms of government, that nobody want to look elsewhere to generate revenue. I traveled to a community in the Niger Delta in Bayelsa and I was amazed to see the type of fish one of the fishermen came back home with. He told me that one of the fish is sold for N3000 and that a smaller size is sold for N1500. He said, as far as fish is concerned, you can eat fish to your satisfaction and even gets tired of it. 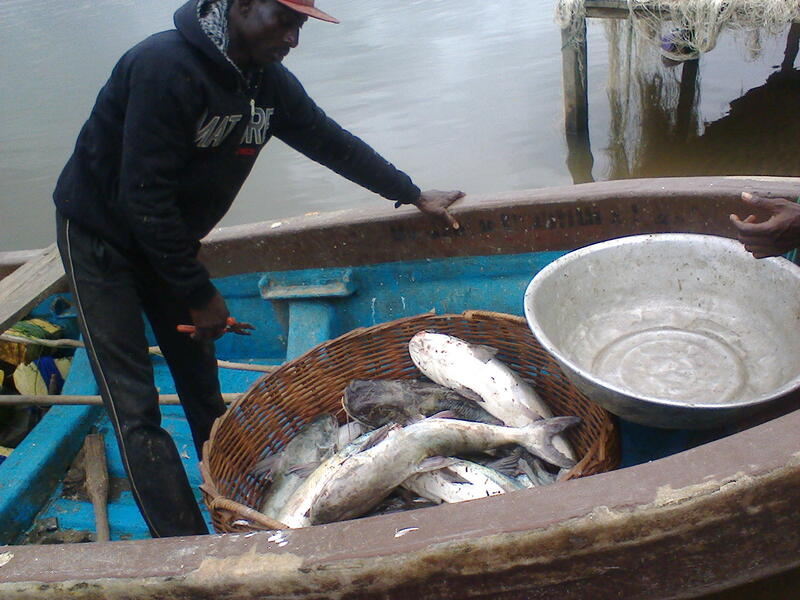 That he makes close to N30000/day from the sale of fish. However, he said that the community is not conducive to staying…and that there is no water to drink, no power supply, no teacher to teach the children in the school and that they are just enduring the living there because they don’t have other place they can call their own. 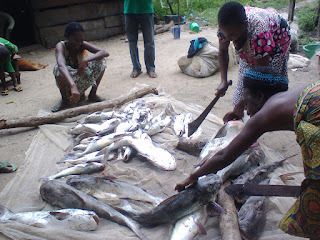 He said that irrespective of the money they get from fishing, many of the community members have left the village for city. 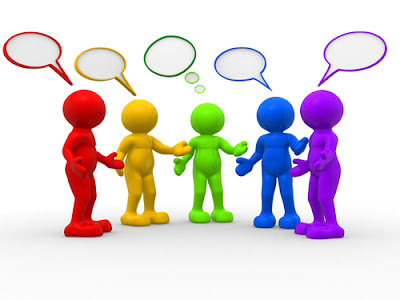 The question is…if this community is developed by given the social infrastructures that make life worthwhile, will the people leave their community? NO of course! The president is believed to have good intention for Nigeria; the people want to see this translated into action. The unemployment ravaging the youths should be reduced by creating enabling environment that will encourage the youth to in their respective community to do what they know best…fishing, crop farming, those with vocational training should have power to do their work, health faculties should be made available in communities and personnel encourage to stay and work in the rural areas, teachers posted to these remote communities should also be encouraged. When all these are been put in place, the community members would want to stay in their place thereby reducing pressure on the cities. Importantly, our leaders should cultivate the attitude of selflessness. When this spirit enters into our leader, the Nigeria will be a better place for all of us. Of recent Mr President launch a social program ‘’Change Begins with Me”. As good and laudable the program maybe, will it succeed? Or will it be regarded as one of those in the past? Nigerians are waiting for our leaders to lead by example. Once this is observed by the subject, it becomes easier and practicable for this good program to thrive in the society otherwise ‘’Change Begins with Me” will become one of those word which doesn’t make sense to the ordinary citizen. Nigeria belongs to all of us and by God grace we’ll all live to see the Nigeria of our dream. What is your take?